Its been a busy couple of days and I haven’t been able to post a report. Fishing has been good catching red fish mostly in the back water marsh. Catching nice red fish 22-30″ . Here are a couple pics of the fish we’ve caught since my last report. 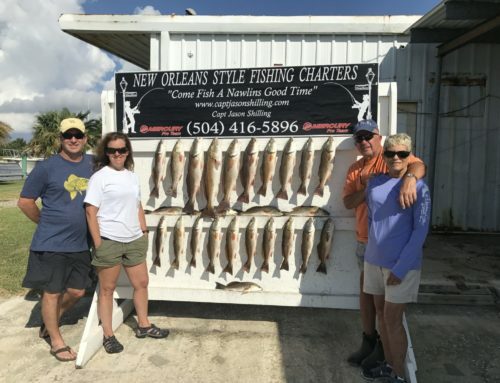 Thanks to every one who came out fishing with New Orleans Style Fishing Charters . I look forward to seeing y’all again soon . Special Thanks to Mr Doug and his family for coming out fishing with us again . Its always great fishing with this family.